Then, before the party, set the scene. 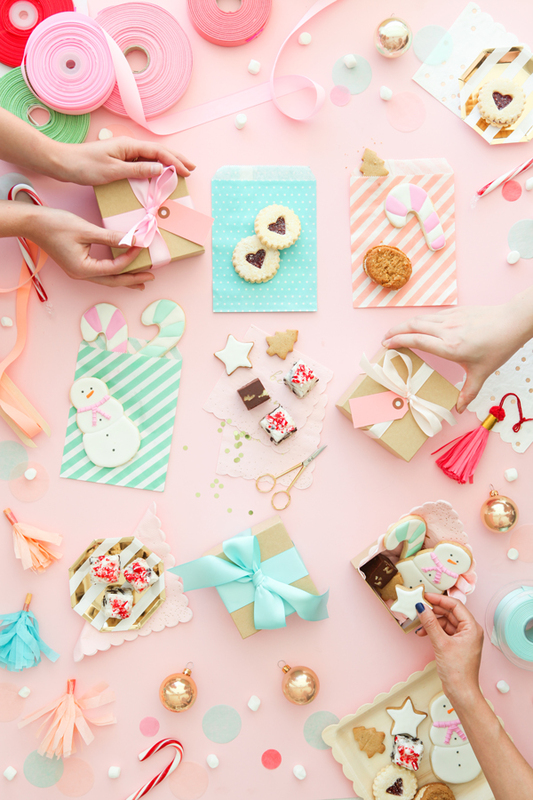 Provide special boxes and packaging supplies so friends can package up their favorite treats. Everyone will want to sample the goods, so put out special plates and glasses filled with milk! 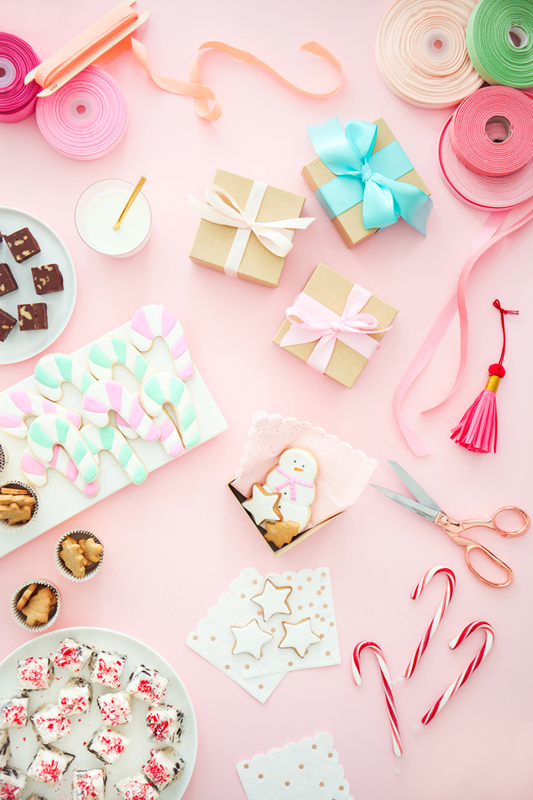 Push a piece of parchment paper into a 9×13″ baking pan (it’ll probably pop out but that’s okay just make sure the paper fits into the pan for when the rocky road actually goes in there) and set aside. Measure out the marshmallows and Oreo pieces and set aside. In a large bowl combine the white chocolate chips, condensed milk, butter, and salt. Microwave in 30 second bursts, stirring after each 30 seconds, until the chocolate chips and butter are completely melted. 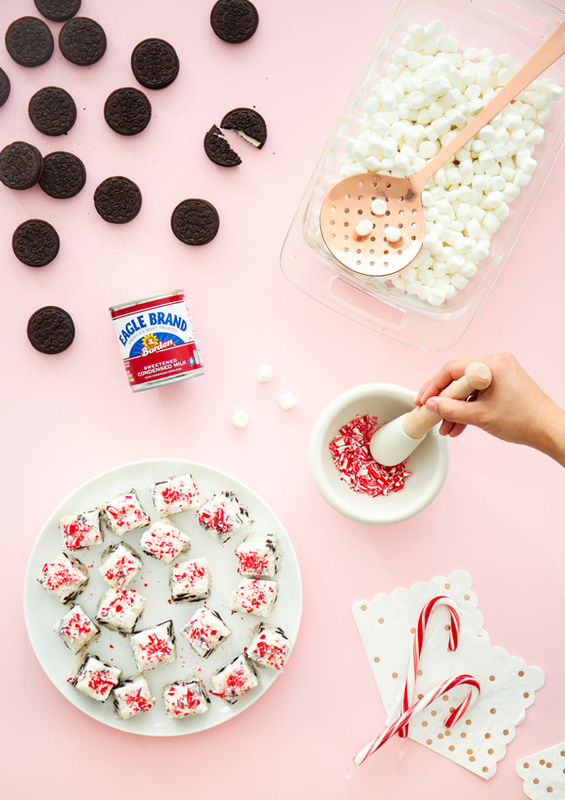 Once melted stir in the peppermint extract, then the marshmallows and Oreo pieces until evenly combined. Use a silicone spatula to scrape the mixture out into the prepared pan and evenly spread it out. The spatula might not work that well. if that’s the case go ahead and use your hands. Smooth out the fudge until it’s evenly in the pan and sprinkle with the peppermint candy if using. Put in the fridge to firm up at least 2 hours. Once set cut into squares and serve! This post is sponsored by Eagle Brand® Sweetened Condensed Milk. Peppermint Fudge recipe by Billy Green. Snowman and Candy Cane cookies by XO Bakes. That’s an amazing idea! We do that every year in our group, instead of getting a gift for everyone we exchange self-baked cookies! 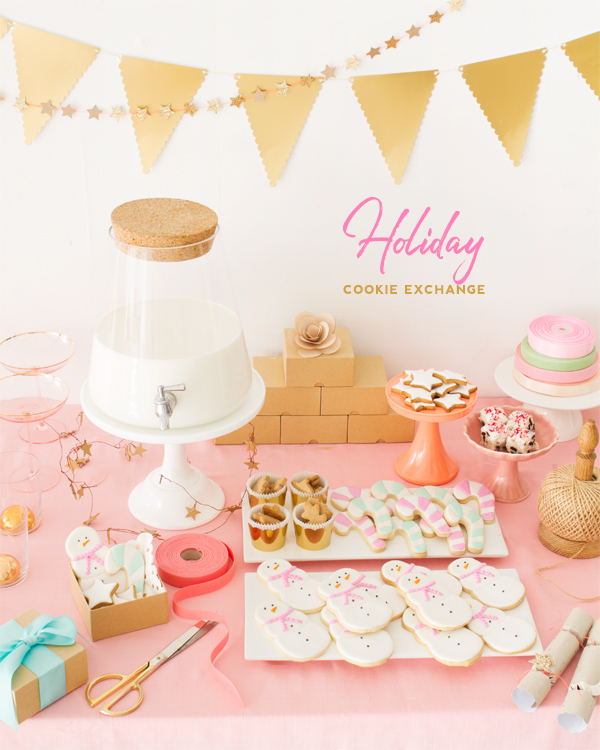 I am so excited to bake cookies this year for Christmas! 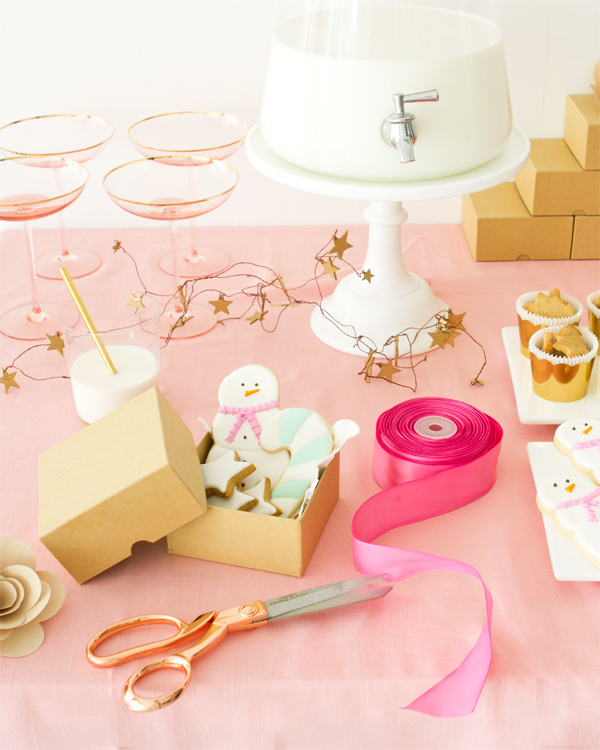 What a fun looking party idea! I also ask my guests to bring copies of the recipe of the cookie or treat they are bringing to share. That way if some of the treats get gobbled up, you know you can make more whenever you want. I have also hosted other food sharing parties – soups & stews, baked breads, and appetizers. When you host a food sharing party, it takes the pressure off to provide all the food, it allows everyone to shine by sharing something they make best, and everyone leaves with one or more recipes to add to their recipe collection. Sure like this – wish ladies were into doing something like this. What fun!!! I love these tips so much. I will definitely try the peppermint cookie recipe!